Even though it seemed as if the cryptocurrency markets would see a big retrace in the coming hours, that may not necessarily be the case after all. In fact, the hourly charts for all big currencies look rather promising once again, which can easily trigger some noteworthy price changes. For VeChain price watcher,s this weekend may prove to be rather interesting for many different reasons. It is always interesting to see how different cryptocurrencies respond to the current market movements. While there was a lot of bearish pressure on all markets an hour or two ago, the current hourly charts paint a very different picture once again. VeChain is no exception in this regard, as it notes some strong gains despite some of the top currencies still struggling for a bit of traction. That makes for a very interesting trend, all things considered. Over the past 24 hours, there has been a notable 4.9% VeChain price increase. As its value now sits at nearly $0.005 again, it will be interesting to see if that level can be reached and sustained over the weekend. There is also a 7.2% improvement in the VET/BTC ratio, as one VET is now valued at 118 Satoshi again. Noting gains over Bitcoin is pertinent for altcoins at all times, especially when keeping the bigger picture in mind. As is always the case where altcoins are concerned, there are plenty of discussions to take into account. Yech_Ken raises an interesting topic regarding the VEN to VET token split which took place a while ago. As there are now 100 times as many VET tokens compared to VEN, one has to wonder if that was the smart decision by the developers. Its current low value doesn’t instill much confidence for this user, although there will be others who disagree on that front. Rhythm Trader is looking at the current VeChain price from a somewhat technical aspect first and foremost. The current market sentiment seems to indicate the price can easily swing in either direction, which can make for some appealing profit-making opportunities along the way. The momentum is still very difficult to predict, though, as weekends are usually a bit abnormal when it comes to trading various cryptocurrencies. Any $VET fans out there? Last but not least, there is always one user who tries to spread the gospel on VeChain to convince other enthusiasts. Banpollution sees a lot of potential ahead for VeChain primarily because of its presence in China. While that is a pretty big partnership first and foremost, it may not necessarily result in a VeChain price change in the foreseeable future. Even so, partnerships like these deserve to be highlighted, as they confirm there is a lot of future potential for both cryptocurrency and blockchain technology. All things considered, it would appear there is some genuine excitement surrounding the VeChain price right now. Although weekends are never a long-term market indicator whatsoever, there is a good chance the value will hit $0.005 in the coming hours. Whether or not it can sustain that price level, will be a different matter altogether. As such, there is some money to be made – or lost – by exploring VET trading options. 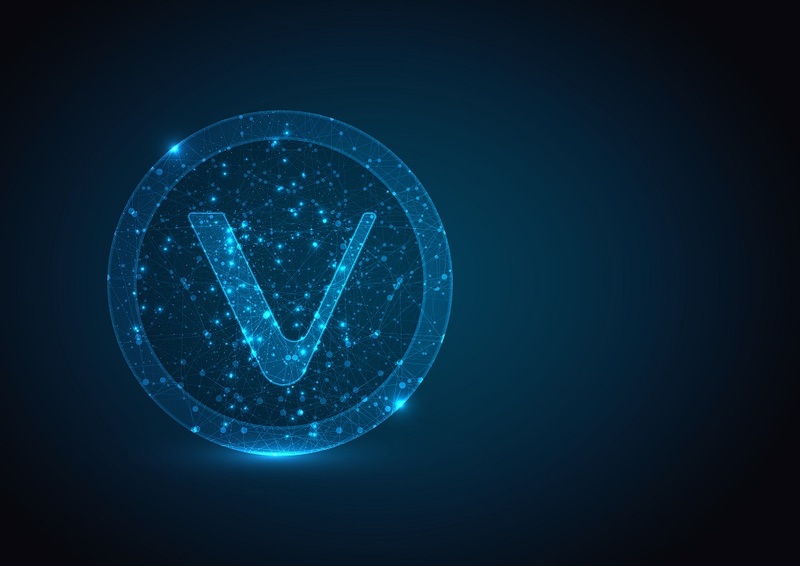 The post VeChain Price Gains Momentum as $0.005 Looms Ahead appeared first on NullTX.